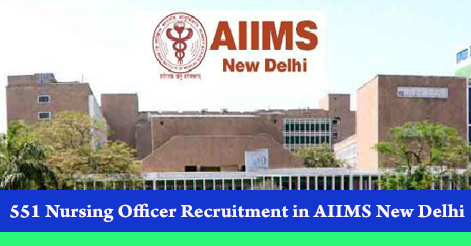 All India Institute of Medical Sciences (AIIMS), New Delhi has released an advertisement for the post of Nursing Officer. All the eligible candidates can apply for the post from 13-06-2018 to 12-07-2018. The recruitment is to be done for AIIMS New Delhi which was successfully established by the Ministry of Health & Family Welfare, Government of India. Nursing Officer Level-07 Rs.9300-34800 with Grade Pay of Rs.4600 Between 18 and 30 Years 1. (i) B.Sc (Hons.) Nursing/ B.Sc Nursing from an Indian Nursing Council recognized institute or University. B.Sc (Post-certificate) / Post Basic B.Sc Nursing from an Indian Nursing Council recognized institute or University. (ii) Registered as Nurse & Midwife in State / Indian Nursing Council. (ii) Registered as Nurse & Midwife in State / Indian Nursing Council recognized Institute / Board or Council. Selection of candidates will be based on written test only. 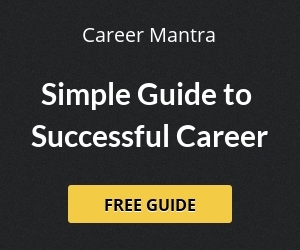 Interested candidates can apply online. Candidates can register online through official website www.aiimsexams.org from 13-06-2018 to 12-07-2018 up to 5 PM. All the applicants are advised to keep a copy of registration slip with them along with proof of payment for their record. Help us to improve this article/job posting "551 Nursing Officer Recruitment in AIIMS New Delhi". We would be glad if you can comment below and provide your valuable suggestions and feedback. If this page have any wrong information/list or out of context content, then you can report us as well.